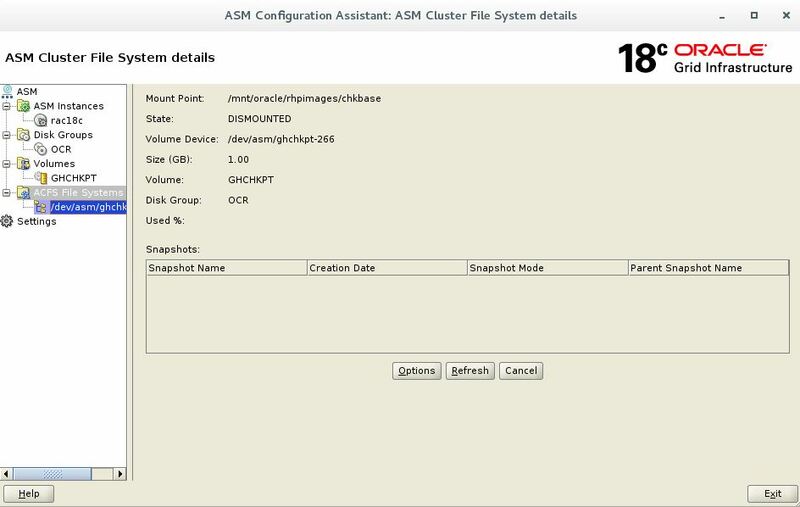 Oracle ASM Configuration Assistant (ASMCA) supports installing and configuring Oracle ASM instances, disk groups, volumes, and Oracle Automatic Storage Management Cluster File System (Oracle ACFS). In addition, you can use the ASMCA command-line interface as a non-GUI utility. 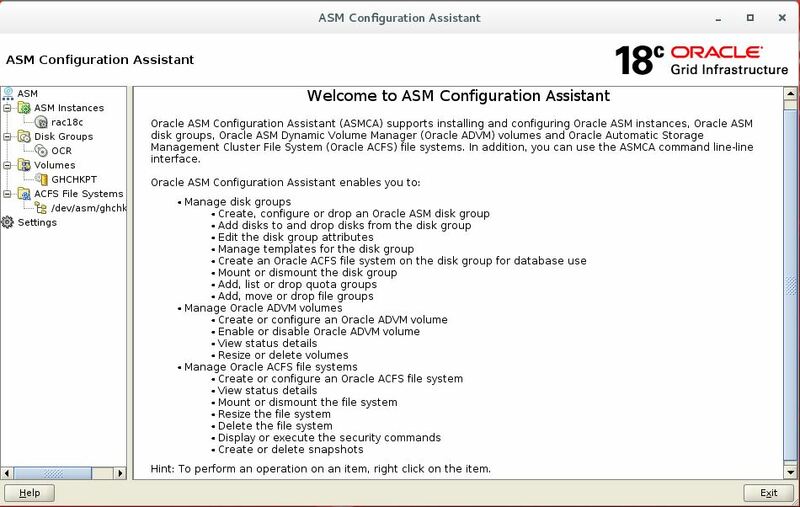 In Oracle 18c database, ASMCA comes up with new GUI interface which looks cool and easy to use. Mainly, we can navigate to all functionality from the sidebar. 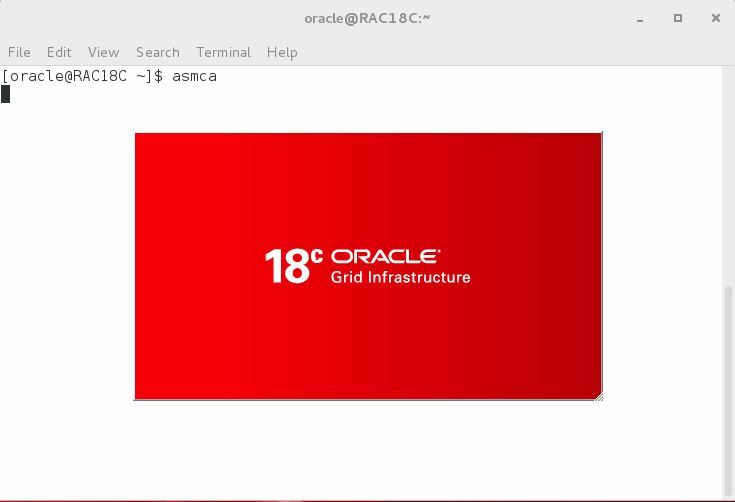 Let’s see how it looks in Oracle 18c, invokes asmca after setting Oracle Grid home. As we see a welcome page contain sidebar to navigate for different functionality. 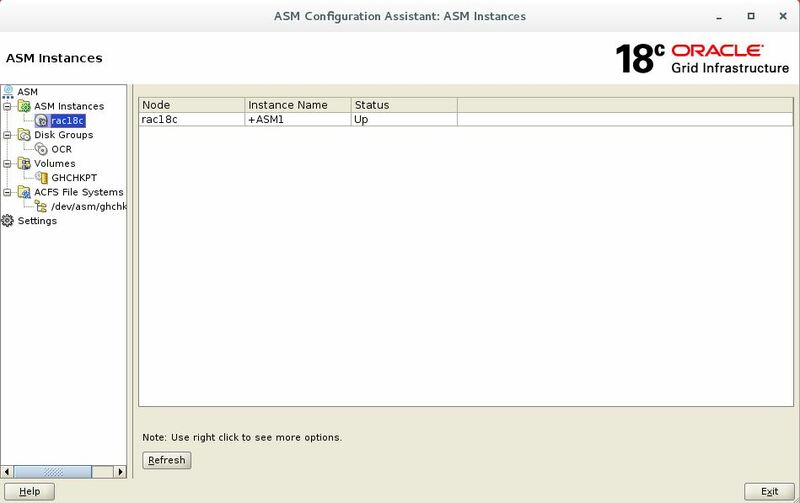 On click on ASM Instances, we can able to see which instances running. On click on Disk Groups, we can able to Disk group detail. 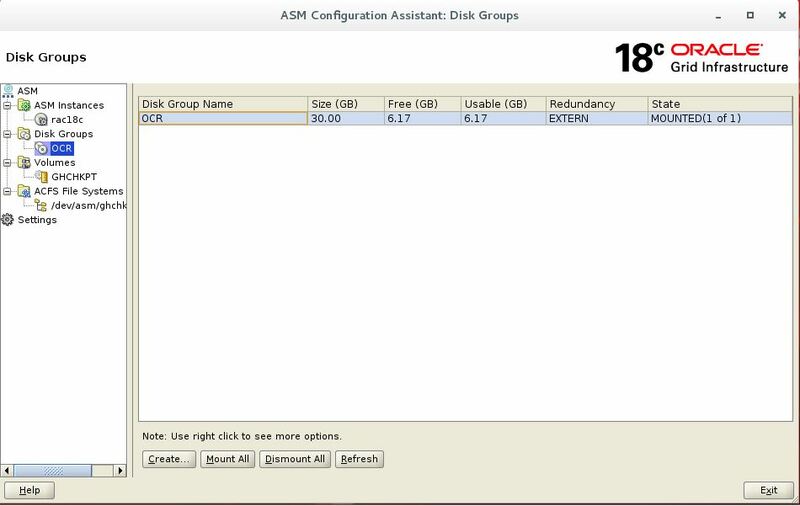 Right click on respective disk group, we can edit and modify setting related to it. on click on ACFS tab, we can get detail on ACFS file system related detail. On click setting, we can insert root credential, so that asmca automatically run the scripts related root.